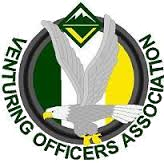 The Venturing Officers Association is run by four youth officers. The officers take the lead in driving the council Venturing program and make it a great experience for both the youth and adults. The officers plan the council events (e.g., Venturing Challenge) and plan and run the Venturing Forums. The officers are elected each year at the Venturing Banquet before dinner. If you are interested in running for an office, or if you would like to nominate someone to run for an office, complete the nomination form. Not reached the age of 20 years at the time of the election. No individual may hold more than one district or council office. Any candidate, who runs and is elected to a second office, must resign from the first office within 30 days. Must have approval from registered Crew Advisor or Skipper. Must be a registered Venturer in the SHAC Venturing program for a minimum of six (6) months prior to the election. Must agree to attend a council Venturing Cabinet Seminar within two (2) months after the election. Three years total (consecutive or non-consecutive). Cannot hold the same office more than twice within the three-year limit. A photo must be submitted with the nomination. The earlier nominations are submitted, the longer the nominations will be posted on the council's Venturing website and social media page prior to the election. Place a number by the nominee's order of preferred positions; first (1), second (2), and third (3). You may mark one, some, or all. Submit a short bio, less than 200 words. Include your name, Scouting rank, experiences, (e.g., summer camp), awards, and trainings (e.g., NYLT), community service and any applicable school information. This bio will be posted on the council Venturing website and on the council Venturing Facebook page prior to the banquet. The nominee's Crew Advisor or Skipper must approve the nomination prior to submission. The nominee must also agree to be nominated. List their email addresses below; they will receive a copy of this nomination form. Yes, the Crew Advisor or Skipper has approved this individual to be nominated to run for the council Venturing Officers Association. Yes, the nominee has agreed to be nominated to run for the council Venturing Officers Association.